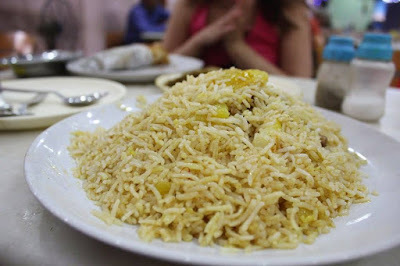 I just can't stop talking about the biryanis of Calcutta. The topic is very close to the heart of anyone who has lived there or grown up there. While biryani is the flavour of the day through the year, the month of Ramzan is a good time to remember the centrality of what Bengalis fondly call Moghlai food. The dishes here, the rezalas, chaaps and the biryanis are not made at home but people across classes and communities in Calcutta love going to Moghlai joints to enjoy these. There are of course special dishes such as haleem which comes up during Ramzan but there's nothing to beat a good biryani meal there. Here's the link to my latest post on EazyDiner which is about the biryanis of Calcutta.